The Chinese Pistache (Pistacia Chinensis) has bright green, compound leaves that turn beautiful shades of red, orange and yellow in the fall. 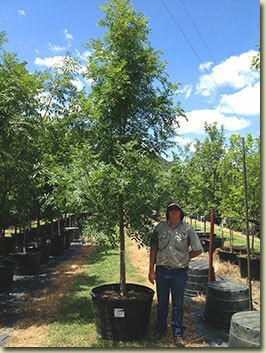 Some consider this to be the best medium sized shade tree for Texas. It can grow up to 40' tall and 30' wide.